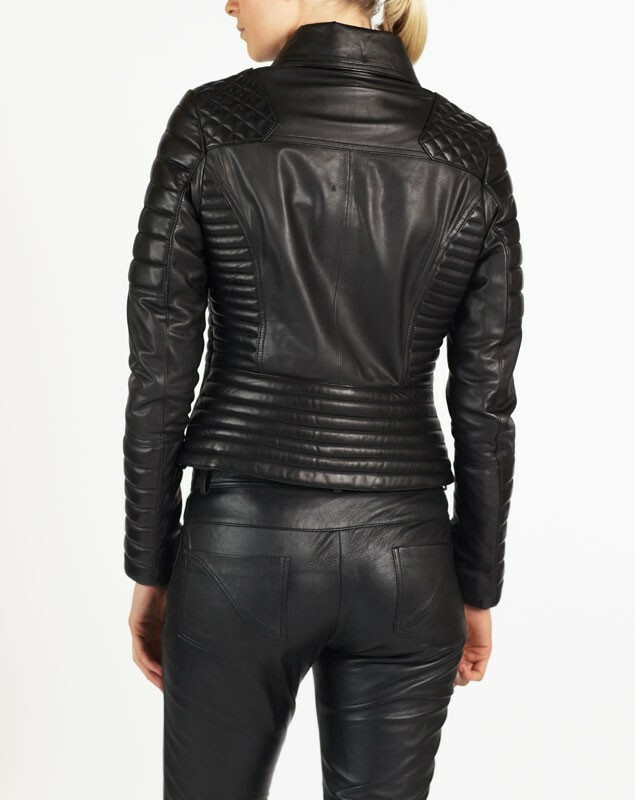 ANGELINA is a fashionable trendy biker jacket made of butter soft lamb Napa leather with a distinguished designer diamond stich detailing throughout, a classic biker jacket with a modern designer touch. ANGELINA boasts superior quality gold zips, which emphasise the detailed work. ANGELINA is one of our best-selling biker jackets, an absolute must have.